This City Council meeting on Tuesday, January 15, was mostly about filling community and regional Committee and Board positions held by both community members and Councilmembers. Frank King was the only applicant for the Bicycle Advisory Committee (BAC), and he was confirmed for a three-year term. Five candidates were vying for two three-year positions on the Historic Resource Commission (HRC): Victoria Brady, John Duncan, Nancy Nygard, David Sweeney, and John Turpit. Each of the candidates gave a brief presentation on their qualifications and reasons to be considered. After several rounds of voting, the City Council unanimously approved David Sweeney and John Turpit for the three-year HRC positions. Parks and Recreation Committee had two candidates, Steve Milke, who was not in attendance, and Susan Shelkun, who was appointed to serve. The Planning Commission had four candidates for consideration: Harold De Nardi, Amel Esposito, Jon Ryan, and Ed Weisbrod. The Council unanimously appointed John Ryan and Ed Weisbrod to serve on the Planning Commission. The Mayor pointed out that official City Council liaisons for non-profit organizations makes them subject to the Brown Act, so rather than official appointments, he asked each Councilmember to volunteer for these positions. There are dozens of boards, committees and commissions that they participate in, and the following were discussed and assigned. Mayor Bailey is the primary representative on the SANDAG Board and Policy Committee, and will also be on the Library Board of Trustees. Councilmember Benzian is Mayor Pro Tem, and also the primary representative for the Metro Wastewater JPA. He is also on the Chamber of Commerce Board. Councilmember Sandke is the primary representative for Metropolitan Transit System (MTS) and the first alternative for SANDAG. He will also be on Coronado SAFE and the South County EDC. Councilmember Donovan is the second alternative for SANDAG and will be on Coronado Main Street and the Coronado Historical Association. Councilmember Heinz will be the alternate for the Metro Wastewater JPA and on the Grand Caribe Taskforce. The City Council also approved several City Ordinance updates, including changes for the Director of Library Services, which will now be one of the City’s executive positions. This allows for the oversight and appointment and removal of the Director at the discretion of the City Manager. City Manager Blair King also introduced Cynthia Smith as the new Interim Library Director and pointed out that she is a trooper continuing on the job after breaking her foot just days into starting the position. The Council unanimously adopted an ordinance to implement regulatory Sidewalk Vending Procedures. This is in response to Senate Bill 946 – the Safe Sidewalk Vending Act, signed into law in September 2018 by Governor Jerry Brown. The amendments to the existing City Municipal Code seek to mitigate the impacts of these new state sidewalk vending regulations on Coronado’s unique public spaces. Required activities include: completing an application and providing liability insurance, refrain from electrical or animated signage, comply with CMC noise ordinances, sell only pre-packaged, healthy foods (no trans-fats), no alcohol, cannabis, tobacco or vaping products, provide recycling and trash cans, maintain four-foot accessible paths, refrain from dispensing single-use plastic bags, plastic straws or foamed polystyrene, and maintain permitted cart size. Restricted locations include: beaches and access ways, bay front, areas not meeting definitions of a sidewalk, Orange Ave., Glorietta Blvd, Ocean Blvd, Coronado Rotary Plaza, Adella Plaza, and City parks. Sidewalk vendors are also prohibited within 100 feet of police, fire, lifeguard stations, or special events. They are also not permitted within 25 feet of the entrance to facilities and garages and parking lots, fire hydrants, ATMs, or designated yellow, blue and red curbs. A standard of required activities and policies was also included in the ordinance. Roger Miller, Director of Recreation and Golf Services, gave a brief presentation highlighting the Cays Park assets which were identified by six steering committee members who held five meetings and were tasked with evaluating the park’s assets by a variety of user groups. Identified assets include: tennis and basketball courts, horseshoe pit, volleyball court, softball area with backstop, dog run area, playground, sports fields, tables, benches, walking path, parking lot, and restroom facility. Miller said, “This is just a starting point.” After clarifying the language to include public workshops first, the Council unanimously passed this motion. Lei Udell, Cultural Arts Commission, and Frank Escobedo, Librarian, present this year’s Coronado Community Read book to Anna Shepard, and Captain John DePree, Naval Base Coronado. Lei Udell, Literary Arts, Cultural Arts Commission, and Franklin Escobedo, Librarian, gave a presentation on the Coronado Community Read and highlighted the upcoming events for the six-week program which begins February 22. 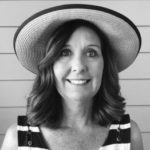 Events will relate to the chosen book, The Practice House, and will include a Hometown Jubilee pie contest on February 23, an evening with the author Laura McNeal at the Coronado Playhouse on March 14, as well as many other community events and discussions. 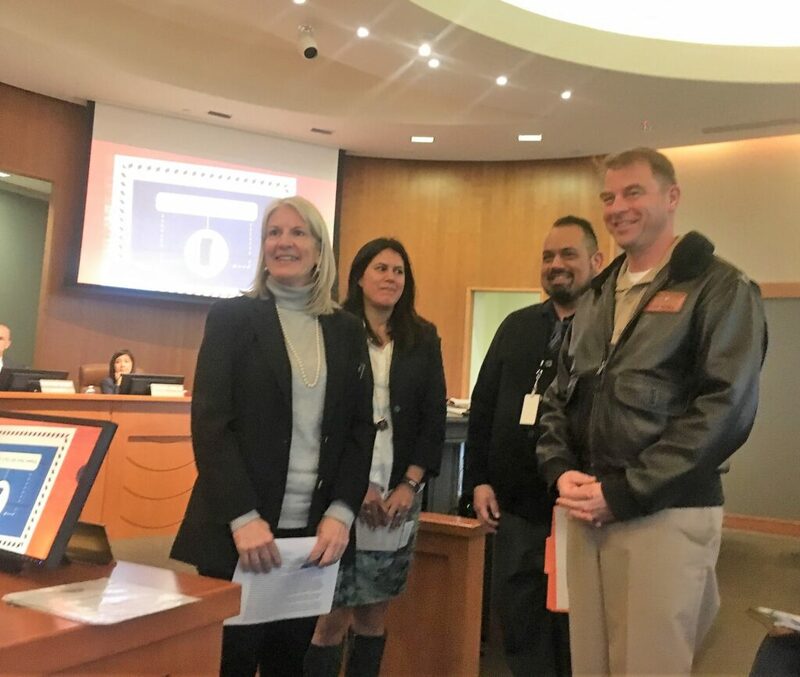 They also presented copies of the book to the Council, Captain John DePree, Executive Officer, and Anna Shepard, Community Liaison, from Naval Base Coronado. The motion to award a design contract for Ocean Blvd. improvements was tabled by Mayor Bailey until the next Council meeting.